With the widespread use of major social media platforms, it can be hard to understand why new ones keep being created. Could this be because each social network actually only fills one or two specific niches for users? I didn’t believe her at first, but as I quickly counted on my fingers – Facebook, Facebook Messenger, iMessage, Twitter, Tumblr, Goodreads, Snapchat, Instagram, Dubsmash, and Skype – I realized she was right. I probably need to spend a little less time on my iPhone How to Recognize and Overcome Your Tech Addiction How to Recognize and Overcome Your Tech Addiction Overcoming tech addiction doesn't mean ending your use of that technology, it just means using technology to improve the quality of your life. This guide shows you how to manage your online cravings. Read More . 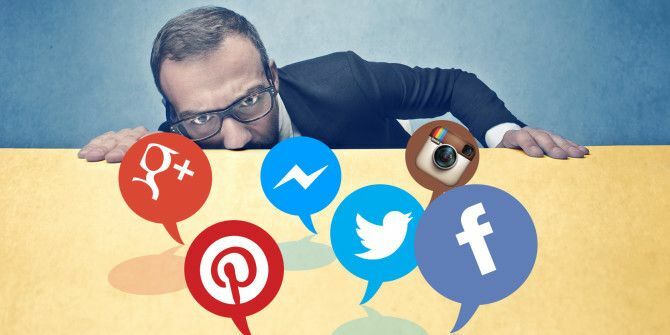 Multiple platforms seem to be required to reach the full communication potential offered to us by social media — despite the attempts of social media giants (such as Facebook) to provide multiple services. How Many Apps Do We Need? The fact of the matter is, if Facebook (or an equivalent) was truly able to meet all of our online communication needs there would be a limited market for other social media platforms, and it would be unlikely for them to become successful. Obviously, there are niches in communication that major social media platforms have not been able to fill — leading to the development and widespread use of new social media platforms. Theory: A lot of these social media niches exist because the development of any communication feature comes at the expense of others. For example, Facebook is impossible for other social networks to compete with 4 Social Networks That Can't Compete With Facebook, And Why [Weekly Facebook Tips] 4 Social Networks That Can't Compete With Facebook, And Why [Weekly Facebook Tips] There are a bunch of newish social networks out that just can't compete with Facebook. Here's why. Read More directly because its popularity and use of your real name, real photos, and real-life friend groups makes it an unparalleled resource for sharing life events quickly with the people you care about. 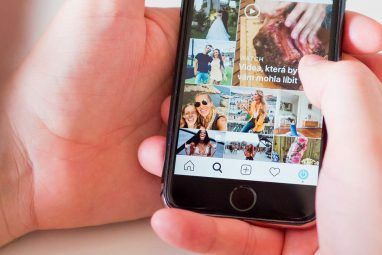 However, this same functionality can make it an impossible platform for discussing current events candidly, sharing photos as an event is occurring, or for meeting people who have similar interests to you. Twitter, Snapchat, and Tumblr, respectively, are three examples of apps that have been developed to meet these communication needs. If there are implicit social rules about how to use each major social media platform, I should be able to summarize them without much disagreement from other users of each platform. Before I do so, it is important to note that over social media, just like in real life, there are rarely “right” and “wrong” ways to communicate – more often, the difference is between communicating effectively or not given your situation and environment. The difference between Facebook and Tumblr, for example, is similar to the difference between the dining room table at Christmas dinner and hanging out at the beach with your friends. In order to communicate effectively, the topic of your conversations and the way that you present them will vary greatly based on the social media platform that you are using. As in any other kind of communication, there are likely to be some usage differences based on users’ age, gender, geographic location, and social groups. As such, know that my interpretation of each platform’s purpose has been filtered through my perspective as a 20-something female university student! What Niche Does Each Social Media Platform Fill? Blogs: Classic blogs (on WordPress, Blogspot, or any of a number of other great blogging platforms 5 Best Blog Sites Other Than Wordpress and Blogger 5 Best Blog Sites Other Than Wordpress and Blogger WordPress and Blogger aren't the only blogging platforms out there – several other platforms offer features and capabilities that challenge the two blogging giants. Let's look at a few more alternatives for your blog. Read More ) are best suited to sharing detailed ideas, thoughts, rants, and long life updates. While their popularity has decreased over the last couple of years, blogs remain one of the only social media platforms suited for well-researched writing and/or personal musings. Facebook: If you’re using Facebook effectively, it should be the social media platform where you post major life updates and the occasional photo, and respond to the life events of others. Recent updates have also made Facebook a great resource for connecting with acquaintances and planning events. Facebook Messenger: Most effectively used for group conversations and talking to acquaintances whose phone numbers and/or emails you may not have. A big part of what makes Messenger so effective is that just about everyone has a Facebook account – making it easy to find people and include them in conversations without first having them download a different messaging app. Flickr: Currently one of the best social media platforms for sharing your photos, Flickr allows you an easy way to share your pictures and to receive feedback from other photographers. Unfortunately, you will generally have to link to your Flickr profile through another social media account to get views from your real-life friends. Google+: While many people haven’t looked at their Google+ account in years, there are apparently a lot of active Google+ users out there according to our recent Google+ poll! If you’re lucky enough to be a member of an active community on Google+ it is a great way to have group discussions and share information from around the web with less interference than on Facebook. 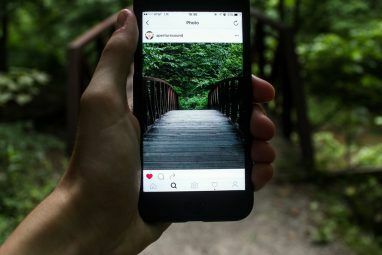 Instagram: This platform’s only purpose is as a place to post one or two artsy pictures per photographed event and to share them with audiences outside of your social circles using hashtags – entirely ineffective as a blog replacement or as a way to share multiple pictures from the same event! Messaging Apps: The messaging apps you use in your day will largely depend on what you need from them (international messaging or calls No Roaming Fees: How Traveling Internationally Can Be Cheaper No Roaming Fees: How Traveling Internationally Can Be Cheaper There's no reason to spend a dime on roaming fees. Yet, I constantly hear about people forking over their hard-earned money to talk with friends or family while traveling abroad. Read More , the ability to send GIFs, the type of mobile device all members of a conversation own). Messaging apps are best for short messages and on-going conversations with friends and co-workers that are too personal or specific to be shared on another form of social media. Pinterest: Sharing do-it-yourself ideas, design concepts, and pretty decorations with friends and strangers (if your boards are nice enough!) in an organized way. Incredibly effective if used as a collaboration tool when planning an event or a project. Reddit: Although it tends to be best known for its more unsavory characters, Reddit is a diverse social media platform and the priority it gives to anonymity allows it to fill communication niches other social media websites simply cannot. Reddit is a great place to get things off your chest, discuss the minutiae of a specific hobby with other experts, or to debate the implications of current events without any chance of offending your relatives. Snapchat: Over the last year Snapchat has gained slightly more purpose than its initial focus on ugly or risqué photos. Now, it’s become a great way to keep friends updated on your day as it happens through the “My Story” feature, or to see events happening around the world in ten-second increments. Specific Interest Platforms: These social media websites, forums, and apps (such as Goodreads, a variety of fitness communities, 8tracks, or Spotify) give you targeted ways to discuss specific interests. These apps are incredibly valuable for their signature purpose (as they likely have tools you will be unable to find on any other platform), but are simultaneously nearly impossible to use for more general communication. Tumblr: In my experience, you don’t share your Tumblr URL except with your most trusted friends. Other than that, you primarily communicate with those that you meet on Tumblr through in-depth blog posts and conversations about niche topics, sharing artwork/writing, and weird humor. Twitter: Twitter is one of the most commonly misused social media platforms. It is a great way to share articles and opinions and to interact with people in your field or area of interest, and should be a medium for conversation and interaction rather than a replacement for Facebook statuses. YouTube: The purpose of YouTube differs significantly based on whether you are a creator or a viewer. As a creator, it offers you an unparalleled platform to release audiovisual content, but as a viewer it is basically only a way to watch and share creators’ content with your friends (although its likely more effective to do so using a messaging app or Facebook). Does the Theory Stand Up? The distinctions between each of the social media platforms I listed are small, but obvious. There is very little overlap between the uses for any of the fourteen social media platforms I’ve mentioned in this article, supporting the idea that each social media platform fills a specific niche for users, and that a single social media platform is unable to successfully meet all of an individual user’s communication needs. Despite knowing what the intended use for each of these social media platforms is, there is still plenty of enjoyment in using social media platforms ineffectively. You just need to be careful to make sure that the lines you cross are ones that won’t be annoying to others, and accept that you will be unlikely to gain tons of followers, likes, or up-votes on those social media profiles! It is always important to be aware of the social media norms you are breaking, and to decide whether or not you want to risk the potentially negative outcomes of doing so in order to avoid embarrassing yourself on social media How to Avoid Embarrassing Yourself on Social Media How to Avoid Embarrassing Yourself on Social Media Social media has the tendency to make us forget how public it is, so we end up sharing things we really shouldn't have. in this post I'm going to help you avoid those unnecessary embarrassments... Read More . These are just the social media platforms that I find myself using or talking about in everyday life, and it’s far from an exhaustive list of every kind of social media platform out there – I didn’t mention any social media apps for travellers The 6 Best Social Media Apps for Travelers The 6 Best Social Media Apps for Travelers There's no better way to explore somewhere than to do so with advice from people who have traveled there before you – and social media apps are the best way to connect with these insiders! 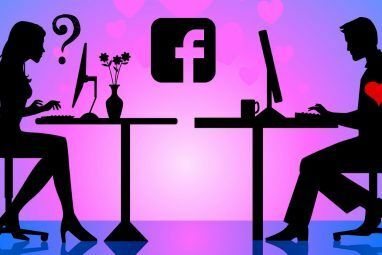 Read More , apps that tend to be limited to a single age group like Yik Yak, or any of the long list of dating apps available Tired of Tinder? Seven Free Alternative Dating Apps Tired of Tinder? Seven Free Alternative Dating Apps Now that Tinder is charging for its services, it might be time to turn to one of the many other dating apps available. Which will you try? Read More . Do you agree with my sweeping generalizations? Have I missed any important platforms? Most importantly, How do YOU use social media in your daily life? Explore more about: Facebook, Instagram, Snapchat, Twitter. I don't use social media at all, mostly because of privacy issues. I have lived without it for decades and I don't feel the need of it. Email is my preferred way of written communication on the internet. I don't use social media. I might deign to use Skype or some form of Jabber (Gtalk et al), but I dislike the fragmentation of communication that comes from these walled gardens of unnecessary services. There is a universal service for electronic communication, Email. Email doesn't depend on any particular device or terms of service and it can be used for essentially all of the functions the author listed. I really don't understand why we need to continuously re-invent the while with these tools. I loved the way you framed social media as "walled gardens of unnecessary services" - it's definitely true that conversations can become more fragmented when they have to be conducted over multiple platforms. Thanks so much for your insight - I really enjoyed this comment!